One of the most talked about and arguably strongest strains of recent years, is the Insanely sticky Gorilla Glue. Huge amounts of resin and a great sour piney aroma make this a great variety to work with; so the Bomb Seeds’ team has given it the full Bomb treatment! They were very fortunate to be given a clone of the #4 pheno back in early 2013 and immediately began to cross these outstanding genetics with their very own signature THC Bomb. The sole purpose was to inject even more oozing resin into this already trichome laden lady. The results were spectacular. 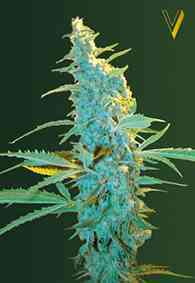 As a Sativa dominant hybrid the immediate effect of smoking Gorilla Bomb is uplifting and energetic. The powerful head rush will continue to roll over you in waves until you are firmly settled in to a deep relaxing euphoria. But be warned, this is not classed as one of the strongest strains on the planet for fun! If you continue to hit on this, it will very quickly stick you to your couch like its famous namesake Gorilla Glue. The flavour is a superb blend of sweet and sour chocolate, followed by the distinct fuel after-tang thanks to its diesel heritage. This taste is initially quite subtle but really builds in the mouth so the exhale has a very potent flavour. 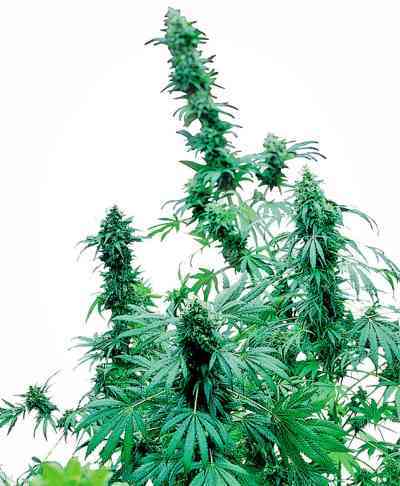 When growing Glue Bomb you can really go to town with nutrients in the later stages of Vegetation and all throughout flowering, if you feed her well you will be rewarded with very think dense buds that absolutely drip with resin. In fact, this is how the original Gorilla Glue got her name, the resin production was so extensive it would “glue” trimming scissors together after just a matter of minutes. Bomb Seeds has spent years perfecting this cross to ensure that when you get stuck to your couch from the first hit of Gorilla Bomb, you will have nothing but smiles for hours and hours. Thanks for the advise. That was a sweet taste!